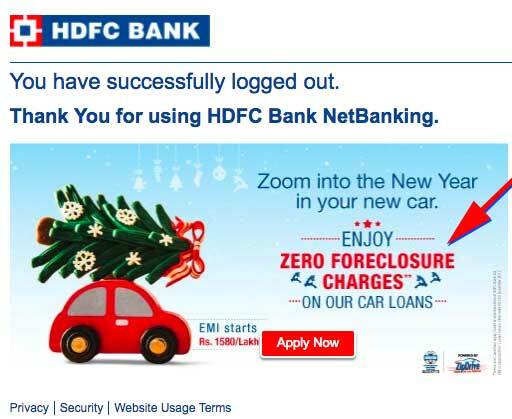 I believe HDFC meant Preclosure instead of Foreclosure and this one word makes a world of difference! Preclosure – Prepayment is when you decide to pay an additional amount of principal of your loan back, ahead of time. This reduces the principal outstanding, which in turn reduces your EMIs or your remaining loan tenure. … Preclosure of loan means you wish to close loan account prior to completion of repayment period. ASUS seems to have decided to take this concept and run with it. Not just does it’s latest Zenfone 3 Max off upto 3 days of battery life but it also offers upto 5000mAh battery as well. What does upto 5000mAh really mean? Well, your guess is as good as mine. If you want to gift a car to the person you love, especially on a valentines day. Which one would you chose from the below, A or B? I am hoping you would go for B, right? Isn’t that the obvious choice? 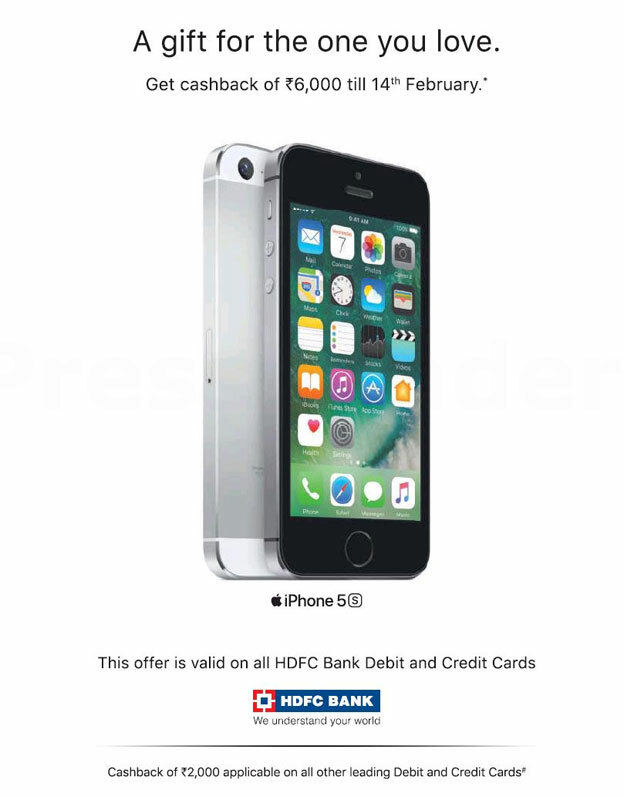 Today, I came across the below advertisement in the newspaper, which if you think about is would make you laugh or maybe cry if you are at the receiving end of this gift. Why would you gift someone you love, especially on a valentines day.. a iphone 5s which is 3 generations old now? Does this even make any sense? This might result in a breakup! Monitoring your outsourced social media campaigns is a must! Most of the Brands & Startups alike outsource their social media marketing / search engine marketing along with many other such services… but how many monitor their campaigns once they have been outsourced? 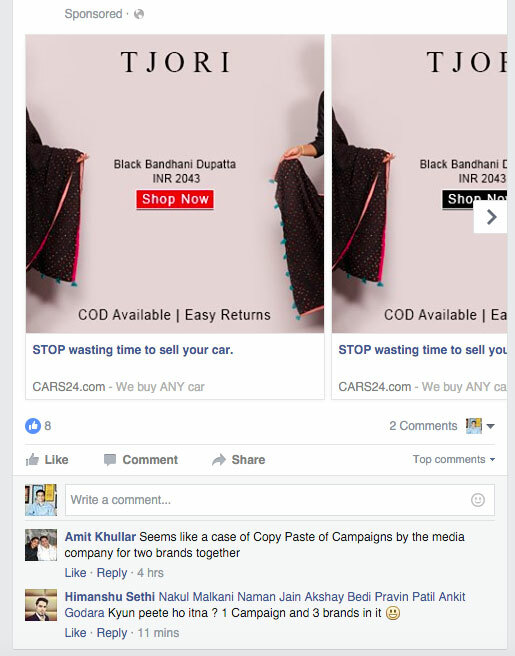 I came across a sponsored post on my Facebook today which made me think on the age old question.. in-house vs outsource? Look at the campaign below… There are some major mistakes in this campaign. Can you spot them? 4. 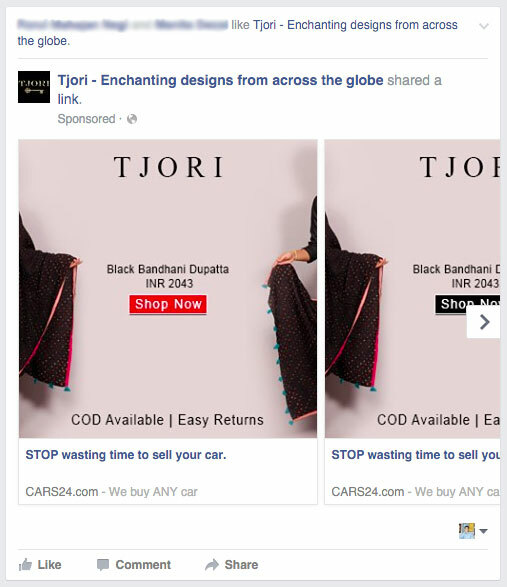 Probably the most important of all, why are they selling women fashion to me? Completely wrong target market. Clearly this is far from their claims. 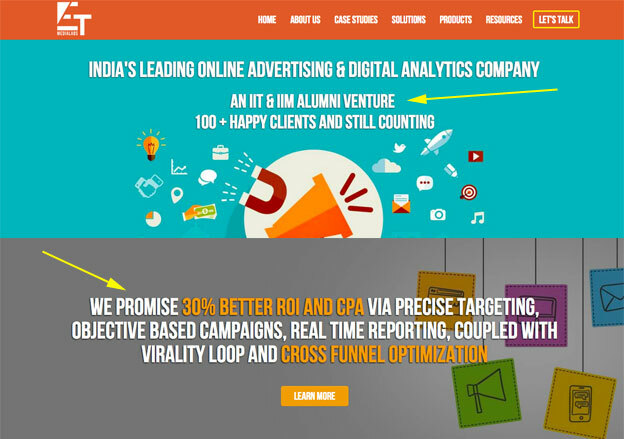 I would urge all startups not to “blindly” trust companies which are run by IIT & IIM Alumni’s. You need to do your homework, set a benchmark for your campaign performance and then evaluate the outsourced companies performance and claims against that benchmark to see if they have actually achieved. Get involved with the process as much as you can, after all it’s your MONEY and the credibility of your BRAND at stake! Update: After 9 hours of posting this article, the Ad. continues to be displayed and has started to get comments as well!